The .308 Winchester (NATO 7.62x51mm) is among the most proven and well know cartridges in the world today. The .308 followed a similar birth and life cycle as its parent case the .30-06. The .308 came into existence due to military demand for a shorter more efficient cartridge that could produce the same ballistics (or do the same work) as the .30-06. Interestingly, though the .308 was produced because of military demand, it was introduced to the public in 1955 as a hunting cartridge several years prior to NATO’s acceptance of the 7.62x51mm. Loading data for the .308 Winchester includes bullet weights from 100 to 208 grains with velocities from 2,400 to 3,425 feet per second. This produces energy from 2,200 to 3,040 foot-pounds and a maximum of 73 foot-pounds per second momentum. 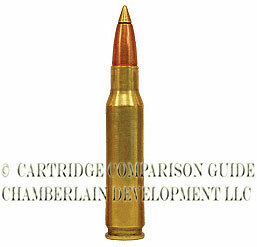 Like the .30-06, the .308 is the parent case for several other cartridges like the .243 Win, .260 Rem, 7mm-08 Rem, .358 Win and many Wildcat cartridges. The .243 Winchester is an extremely versatile small-bore cartridge. The .243 Winchester is based off of the .308 Winchester and was made available to the public around 1955. In our opinion, the .243 is one of those hunting cartridges whose true potential is just now being discovered. 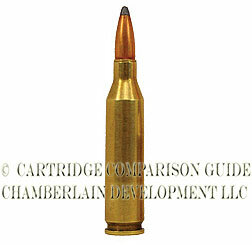 Its mild recoil, excellent trajectory and good velocity coupled with modern bullet structures give this cartridge the potential of taking animals from fox to elk. The .243 can be loaded with bullets from 55 to 115 grains with velocities of 2,900 to 4,030 feet per second. This produces a range in energy from 1,800 to 2,190 foot-pounds and a maximum of 47.5 foot-pounds per second momentum. Because if its mild recoil, many refer to the .243 as a great women’s or youth rifle. However, many trophy animals have been taken by very competent and robust hunters using this cartridge. The .22-250 Remington is a superior varmint cartridge and is well known for its long range capabilities and, where legal, it is a strong favorite for deer hunting. The .22-250 was created by necking down the .250 Savage, creating a .22 caliber 250 case or a .22-250. Like the .243 Win, the full potential of the .22-250 is just starting to be realized with the new bullet structures, powders, bullet weights and firearm configurations just recently available to the hunting world. Many simply think of a .22-250 as a super fast cartridge that propels a 50- or 55-grain soft-point lead bullet. The .22-250 can be loaded with bullet weights from 35 to 80 grains and achieve velocities from 3,000 to 4,350 feet per second. These loads deliver a range in energy from 1,400 to 1,810 foot-pounds with a maximum momentum of 36 foot-pounds per second. Bullet structures are available from nonexpanding solid brass bullets to bullets built to expand so rapidly their names are coined with TNT, Grenade and other such descriptions.